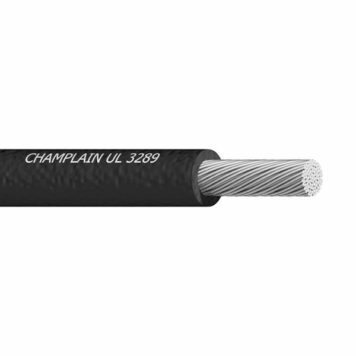 Exar® 150 is the premium heat-defying cable in its class. Its irradiation cross-linked polymeric insulation possesses remarkable mechanical, flame resistance and electrical properties. It is compatible with many types of magnet wire and varnishes at bake temperatures up to 190°C. Exar 150 processes extremely well on the latest high speed cut and strip machines. Processing costs are reduced by avoiding problems such as solder iron shrink-back, insulation creeping and poor abrasion resistance. This product has unusually high chemical resistance including many potting compounds, toners and solvents. Save money by avoiding costly scrap and rework.